In Australia and other developed countries there is some complacency about snakebite as a public health problem. 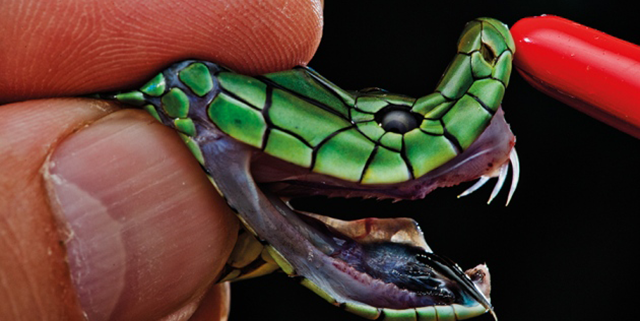 Following on from this, there is less funding for research into envenomation, although there is still a lot to be learnt about the biological complexity of snake venoms. The number of companies producing anti-venoms has decreased in recent years. Because of economic reasons, Sanofi Pasteur, stopped producing their Fav-Afrique antivenom which was used to treat bites from some of Africa's deadliest snakes. It has been estimated that as a consequence, an extra 10,000 deaths would result from snake bite in Africa each year. In a report from India, in 2005, 45,000 people died from snakebite: around one quarter of that number, died from HIV/AIDS. Scientists are now investigating alternative means of producing anti-venom medications but finding companies willing to invest in the process is a real difficulty. Read more about this developing health problem in underdeveloped countries, and the contribution made by Australian scientists in ongoing research, in Nature.